An endangered missing child advisory has been issued by the Regional Emergency Dispatch Center for the entire state of Ohio. 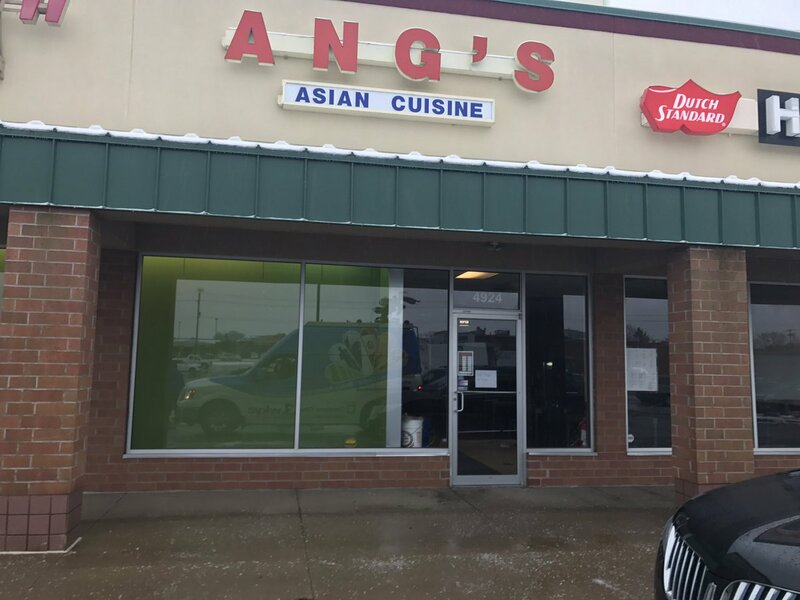 Police are searching for 5-year-old Ashley Zhao who was last seen around 5 p.m. at Angs Cuisine Restaurant in North Canton, Ohio when she went to lay down. Around 9 p.m. when her mother went to check on her she was missing. There is no evidence she was taken. Zaho was last seen wearing a purple coat with gray leggings. She is about 4'0," weighing 35 pounds, black hair, and brown eyes. Law enforcement is asking for the public's help and is concerned about her safety. Last edited by mykittysmama; 01-11-2017 at 01:34 AM. Ashley's parents own the restaurant she was last seen at. Praying for her safe return home. 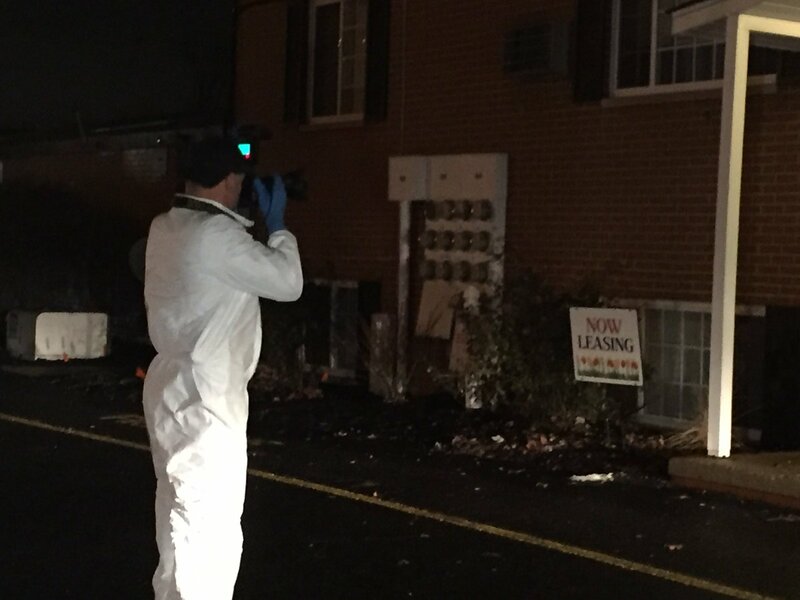 Breaking News: Jackson Twp PD says Ashley Zhao, 5, found dead and "concealed" inside the building. 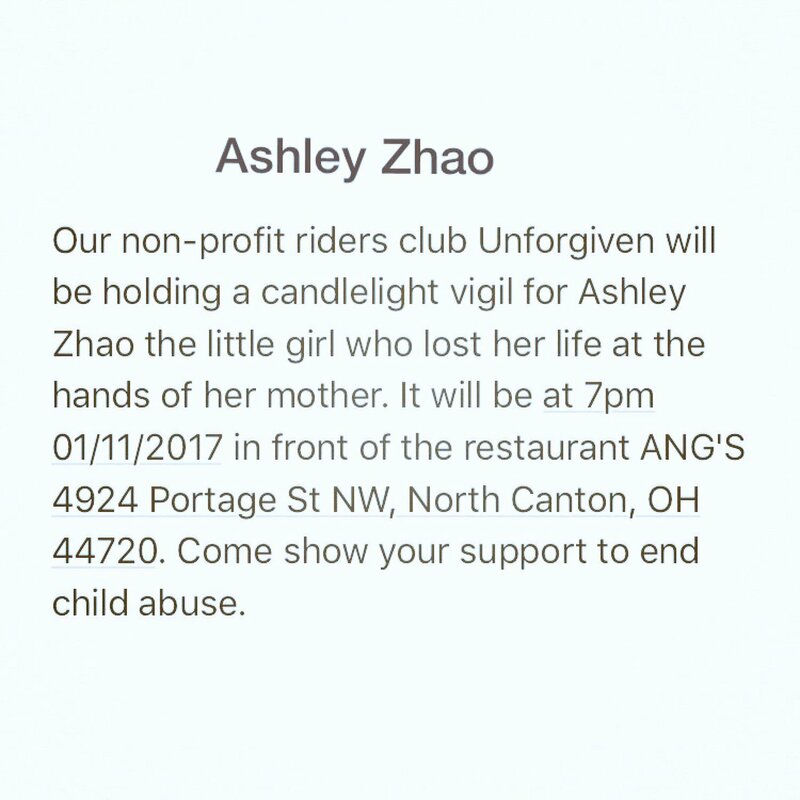 JACKSON TOWNSHIP, Ohio -- Police have confirmed that 5-year-old Ashley Zhao, last seen at Ang’s Asian Cuisine on Portage Street NW, was found dead Tuesday evening. Zhao was found dead and concealed inside the restaurant. She had last been seen Monday night, when she went to the back of the restaurant between 4-5 p.m. to take a nap. When her mother went to check on her around 9 p.m., she was gone. Her parents reported her missing shortly after 9 p.m.
Police: Ashley Zhao found dead. 2 squads at home of Ashley Zhao's relatives. Man here earlier today told me police told them not to speak. JACKSON TWP. The search for a missing 5-year-old ended late Tuesday afternoon with the discovery of her body hidden inside the family's restaurant, investigators said. The disappearance of Ashley Zhao had prompted a large-scale search in wet weather after she went missing Monday night from Ang's Restaurant at 4924 Portage Street NW near The Strip shopping plaza. 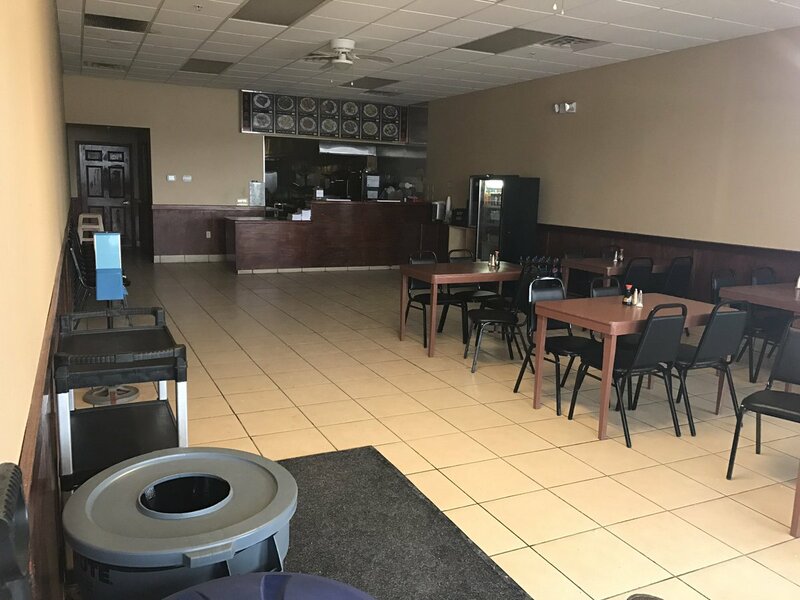 On Tuesday afternoon, officials began turning their focus away from the wooded area behind the shopping plaza and toward the inside of the restaurant. Around 5 p.m., police announced the girl's body was found concealed inside the building. No additional details were immediately released. I won't move the thread just yet as we don't know if Ashley died accidentally or was murdered. 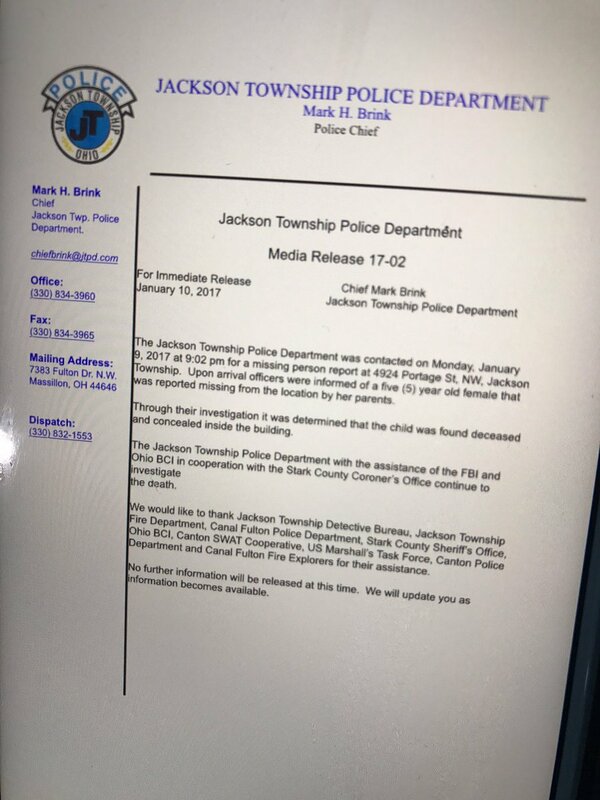 A child that went missing in the North Canton/Jackson Township area Monday was found dead a day later in her parent's restaurant, according to police. 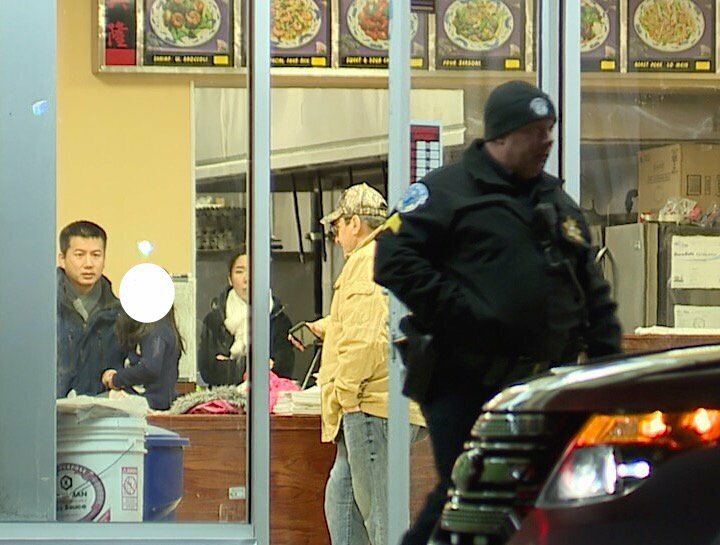 Police said the body of 5-year-old Ashley Zhao was found "concealed" in the restaurant Tuesday evening. The mother has been charged with murder and the father has been charged with complicity. 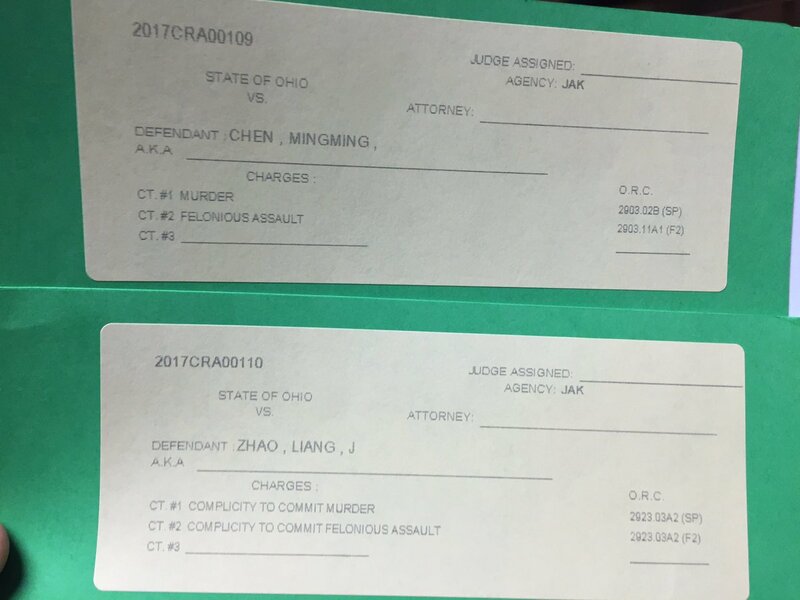 BREAKING: Child's mother - Mingming Chen charged with Murder and Felonious Assault in death of 5 yo Ashley Zhao, according to officials. Mingming Chen & Liang Zhao spent the entire night inside the restaurant with police, presumably their other daughter & Ashley dead. 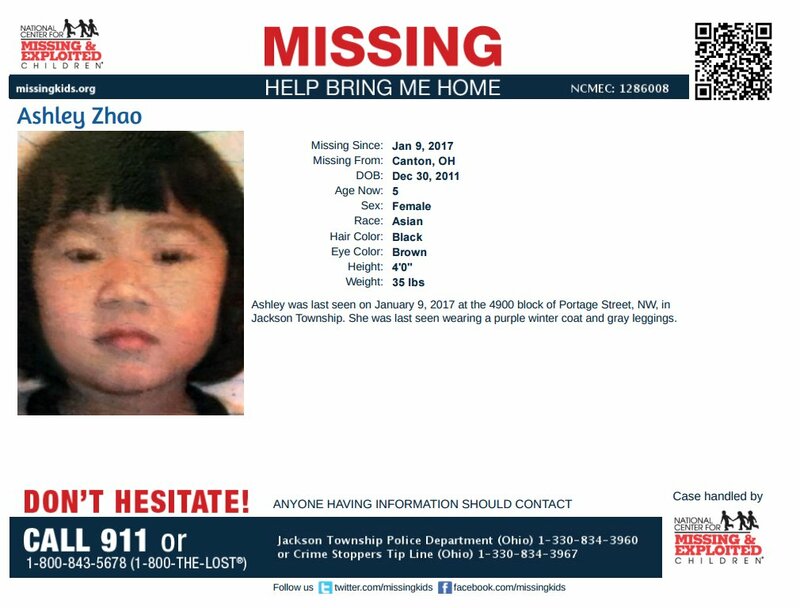 JACKSON TOWNSHIP, Ohio -- Police have taken the parents of 5-year-old Ashley Zhao into custody on Tuesday evening. Ashley Zhao, last seen at Ang’s Asian Cuisine on Portage Street NW, was found dead and concealed inside the restaurant late Tuesday afternoon. . According to Stark County Sheriff's Office investigators, Mingming Chen, the mother of Ashley Zhao, struck her daughter in the head several times with her right fist. Ashley suffered injuries to her body which caused her death. Police believe that the assault took place around 9:15 a.m. on Monday morning. Mingming Chen faces murder and felonious assault charges. Officers believe Ashley's father, Liang Zhou, discovered that his daughter had her head struck on the floor twice by Chen. He noticed Ashley had green fluid coming from her mouth. After trying to clean his daugher up, he noticed Ashley stopped breathing. He attempted to revive his daughter using CPR but was unsuccessful. Liang Zhou has been charged with complicity to commit felonious assault. SMH, this is just heartbreaking, another child murdered by the person who's suppose to love and care for her. The father is just as bad as the mother. Why didn't he call 911 the moment it happened? I believe Ashley was murdered at home and then taken to the restaurant and hidden. Did they think LE wouldn't search the restaurant? Way too much murdering of children by their parents. No excuses for this! UPDATE: Ashley Zhao found dead yesterday. Her older 6-yr-old sister is in the care of Stark Co Job & Family Services. Parents charged.